Thank you to every single one of you who voted for me. I hope you know how much I appreciate you – and how happy you have made me. I was at an event in London on Wednesday, when my phone went a bit wild. When looked I had loads of messages from followers telling me that I had made the cut! I was so happy I did a little dance in the hallway at the location house. This is the best news. In three years of blogging, I’ve been nominated four times for an Amara. And I have been shortlisted once before as Best Interior Design Blog back in 2016. 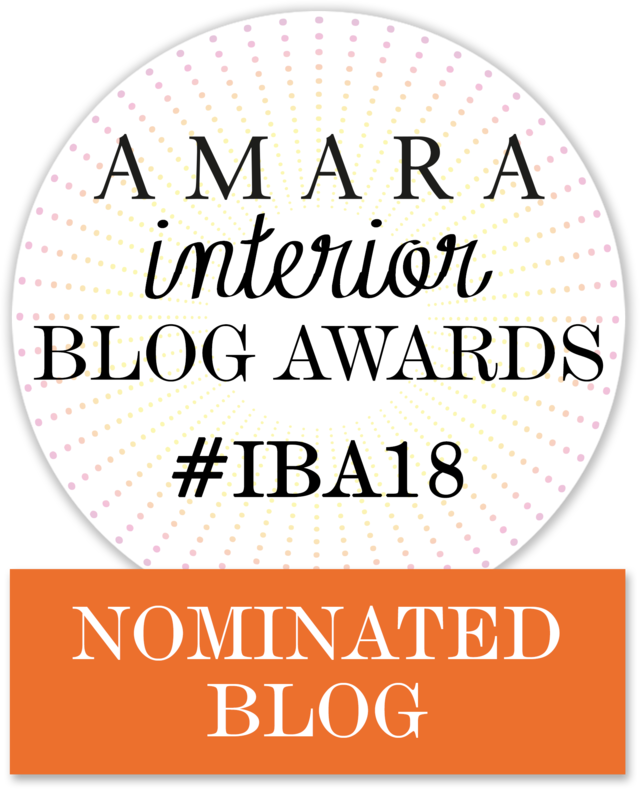 I’ve also been shortlisted/nominated in 10 other awards but the Amara #IBA18 are the only ones voted for by my blogging chums. It’s total kudos to win. As every year passes, it gets tougher and tougher to get shortlisted in the Amaras. Why? As there are so many good blogs out there – it’s stiff competition. I’m in good company in my category rubbing shoulders with Natalia from BritishStyleUK, Kate from Fabric Of My Life, Sarah Jane from Just A Little Build and Alexandra from The Frugality. I feel utterly privileged to be picked to be among these blogs. They are awesome! To make it to the final five is even more awesome. I can’t wait to go to the fancy do in a month. In the meantime, expecting me to be banging on about my shortlist status – ha ha! Congratulations! I love your blog! Hey Buddy!, I found this information for you: "YAY! We Love Home Is Shortlisted As Best Lifestyle Blog #IBA18". Here is the website link: https://www.welovehomeblog.com/2018/09/we-love-home-is-shortlisted-for-an-amara-iba18/. Thank you.